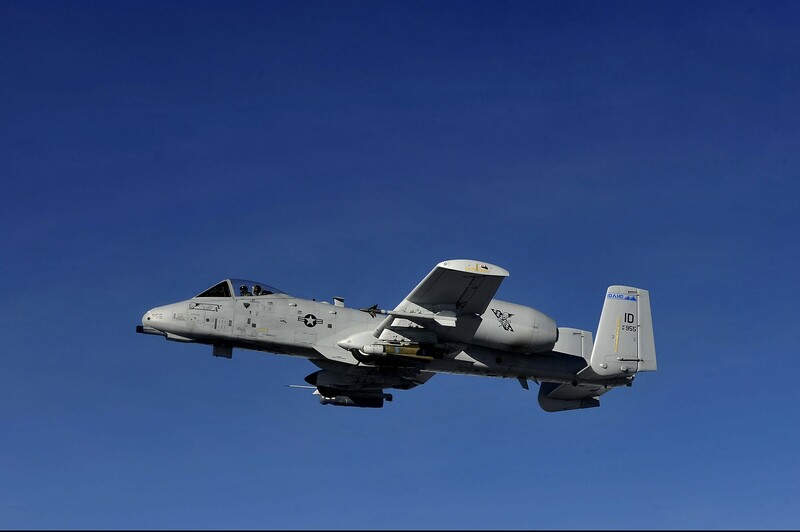 WASHINGTON – Congress moved one step closer to saving the embattled A-10 “Warthog” for another year, with Senate Appropriations Committee approval Thursday of a defense funding bill that included $338 million to keep the jets flying. It is the latest step in a battle that began in February, when the Pentagon unveiled a budget request that called for the decades-old fleet to be retired, worrying officials around Tucson’s Davis-Monthan Air Force Base where 83 of the jets are based. Davis-Monthan’s “economic impact for Tucson and southern Arizona is enormous,” said Mike Varney, CEO of the Tucson Metro Chamber. He said the base contributes an estimated $1.2 billion to the region’s economy. The amendment was part of Appropriation Committee approval of a $549.3 billion Defense Department budget, which now goes to the full Senate for consideration. The committee amendment restored funding for flight hours, pilot training, fuel, maintenance, and operations for A-10 pilots and crew. The differences between the bills would have to be worked out in committee between the two chambers, and it was unclear Friday whether that would come before the August recess. But A-10 backers welcomed news of the Senate committee vote, nonetheless. 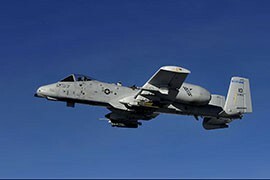 “I am pleased that the committee affirmed the value and unique close-air support capability the A-10 provides,” said Sen. John McCain, R-Ariz., in a statement after Thursday’s vote. The A-10 Thunderbolt II – affectionately known to troops as the Warthog – has been the primary aircraft for close-air support of ground forces since its introduction in 1977. But in February, Defense Secretary Chuck Hagel said the Air Force would shelve the A-10 fleet for budgetary reasons and replace the venerable jets with the new F-35. 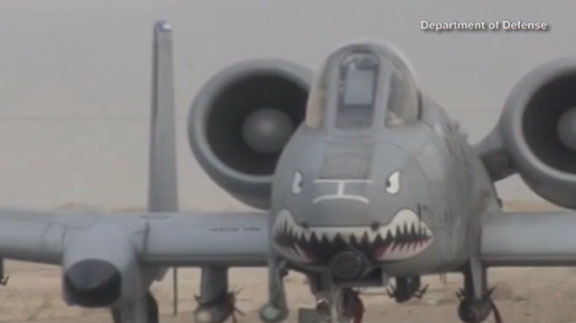 “Retiring the A-10 fleet saves $3.5 billion over five years and accelerates the Air Force’s long-standing modernization plan – which called for replacing the A-10s with the more-capable F-35 in the early 2020s,” Hagel said when he announced the Pentagon’s fiscal 2015 budget request. The plan quickly ran into opposition on Capitol Hill from lawmakers who had A-10s in their districts. An A-10 from the 124th Operations Support Flight flying over Utah in early 2012. Congress is on the verge of blocking a Pentagon move to retire the 40-year-old close-support fighter jets in favor of new F-35s. Congress is working to reverse a Pentagon plan to retire the A-10 "Warthog," a 40-year-old close-support fighter jet, in favor of new F-35s. 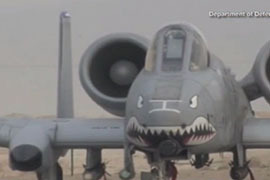 The Defense Department says it has to drop the older plane for budgetary reasons.